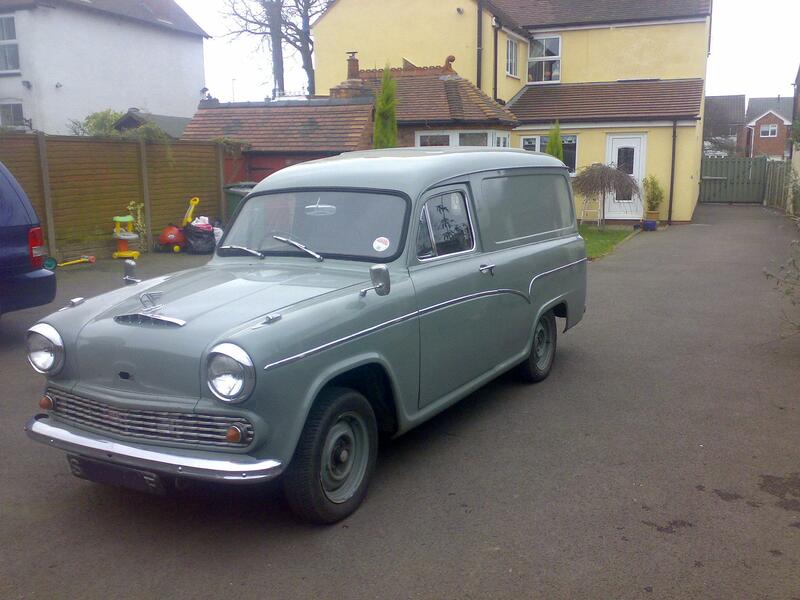 what ever you want to call it, this is a lovely example of the 1968 Austin A60 Half ton panel van much like the Morris A55 van. A working project which is driven daily. When they can be found, new parts are fitted over long weekends or late into the night to keep it road ready and fully working rather than sitting in the garage ! If you have a box of bits to fit the Austin or Morris A60 - A55 Van, please let me know as you will see bits like the bonnet badge are still missing and lots of other parts will always be very useful ! Note that the Morris Oxford and Austin Cambridge are mechanically the same and those parts will also be useful for my restoration of the A60 van. In November 1956 the Half Ton Van is introduced at The Motor Show. The following May of 1957 saw the Half-Ton Pick-up introduced as open-back truck version of the Van. In October 1962 the new Half-Ton Commercial was introduced with a redesigned front end, Chrome mouldings on body sides, Stronger front bumper, 14" Wheels with 6.40 x 14 tyres, seat belt anchor points incorporated in cab, Glove box lid, and Non-reflecting fascia panel finish. A choice of Vehicles was available as Morris Half-Ton Van and Pick-up. 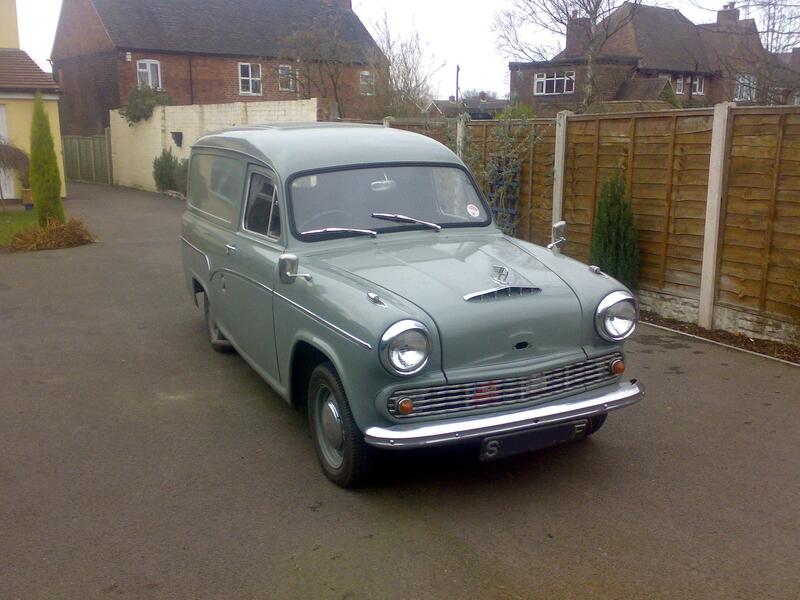 By September 1963 the Half-Ton Commercial vans were fitted with the 1622cc engine like the Austin A60 saloon car. 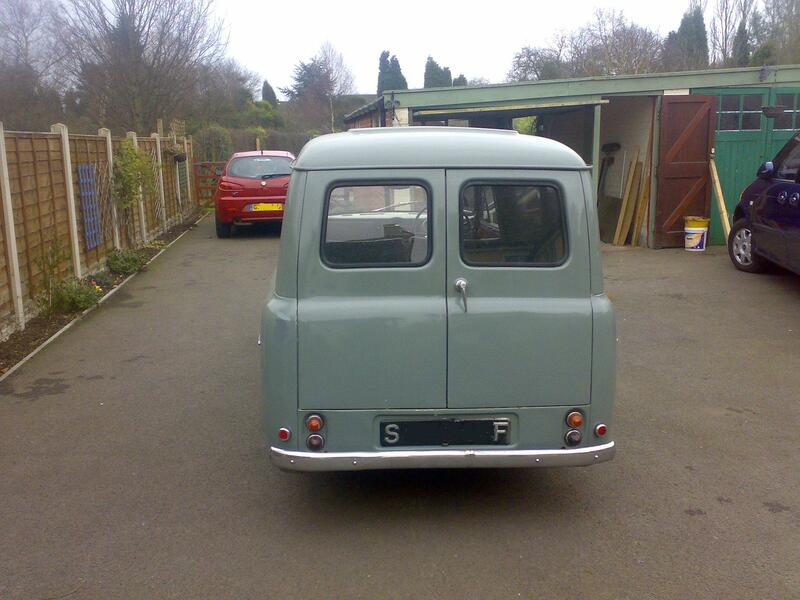 Have you got a nice old car or van locally in Aldridge that you would like to show off on this page? ( Number plates will be blacked out ) Send some info to Aldridge website , it would be great to add some more pictures of local cars.